The Faculty of Business at CPUT recently invited Deloitte, one of the big five auditing companies in the world, to present to second and third year Accounting students. 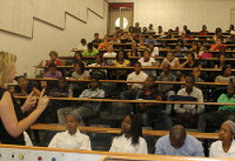 Deloitte’s Risk Advisory director Claire Hoy introduced the students to the company’s structure and the types of services offered by the company’s South African branch. Internal and external auditors from Deloitte also explained the ins and outs of internal and external auditing. Students were given the opportunity to quiz the Deloitte delegates on various matters such as the requirements for becoming auditors. 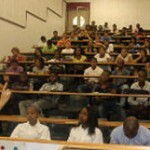 From third year level, CPUT offers students specialisations in Internal Auditing, Cost and Management Accounting as well as Financial Accounting.